Have you started your Twitter account yet? Why not? You would rather do it all yourself? Look at what just popped up in The Pub Club’s Twitter feed! But, hey, why let your COM do the work for you? After all you have all that spare time on your hands? 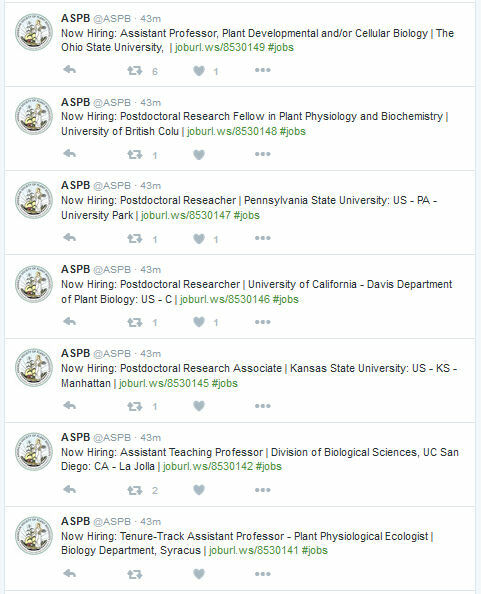 This is only a partial list of the postings ASPB Tweeted out all at once, and they weren’t the only ones. You don’t have to reach out to the Community of Minds around you but as always you will be at a disadvantage to those that do.